Welcome to Eldorado Behavioral Health! At Eldorado Behavioral Health we offer counseling and therapy services in Eldorado at Santa Fe, NM. We focus on addressing anxiety, depression, and relationship issues for clients of all ages. We work to provide a comfortable, safe place for clients to feel heard, gain perspective, learn to manage emotions, and modify behavior. We aim to help clients live a happier, more rewarding life. 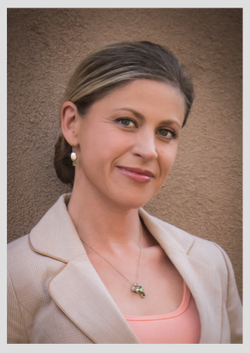 Meira Petersen is a Clinical Mental Health Counselor (LPCC). Meira received her Master's degree in Counseling Psychology from Southwestern College in Santa Fe, NM.